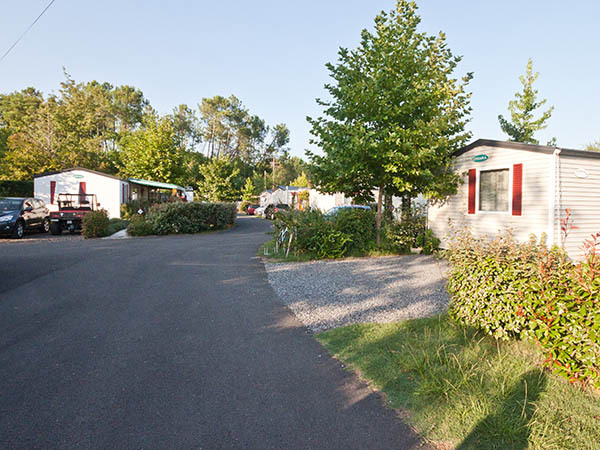 Our campsite offers affordable and comfortable holiday rentals by Parentis Lake. Come by and enjoy our idyllic atmosphere next to the lake and the ocean, as well as our variety of lovely amenities. 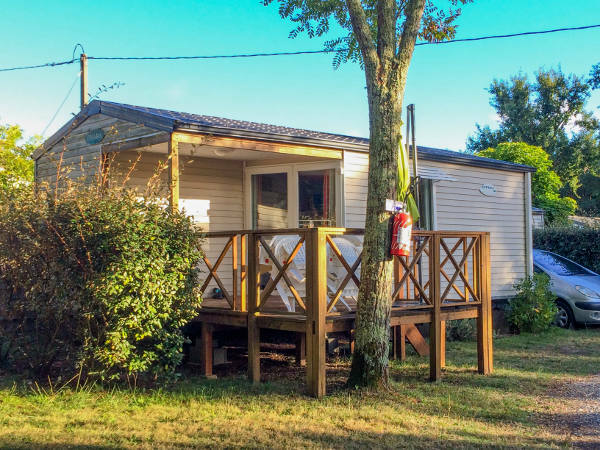 Camping Calède provides comfortable mobile home rentals with 2-3 bedrooms, or for a more economical option, a cabin (Tithome) in a peaceful environment. 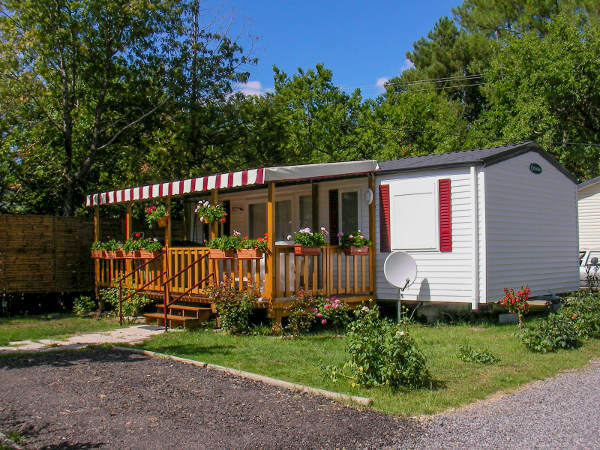 Our comfortable mobile homes rentals at Camping Calède are ideal to stay in Parentis-en-Born at a reasonable price. 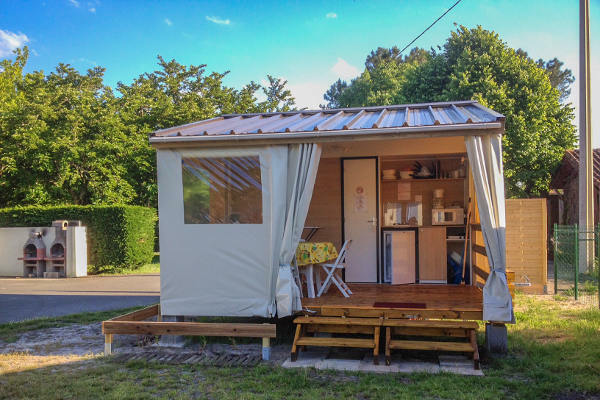 Our accommodations (Tithome) are especially suitable for roaming (rental per night possible except during July and August for bicycle tourists). Tent site for €10 and wooden cabin for €20, for pilgrims while we’re open (from April to October). 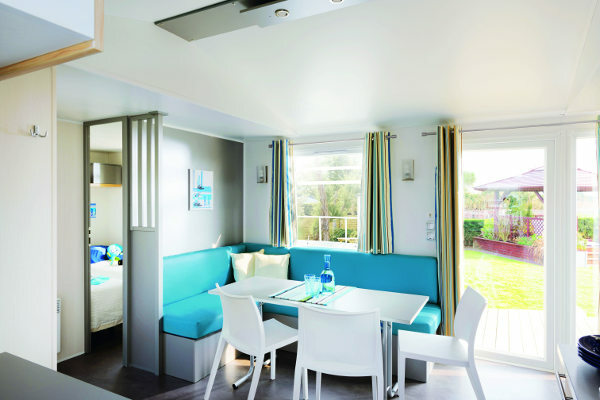 Classification: 2 stars, certified "Tourisme"
80 pitches including 16 "Luxury Caravans"